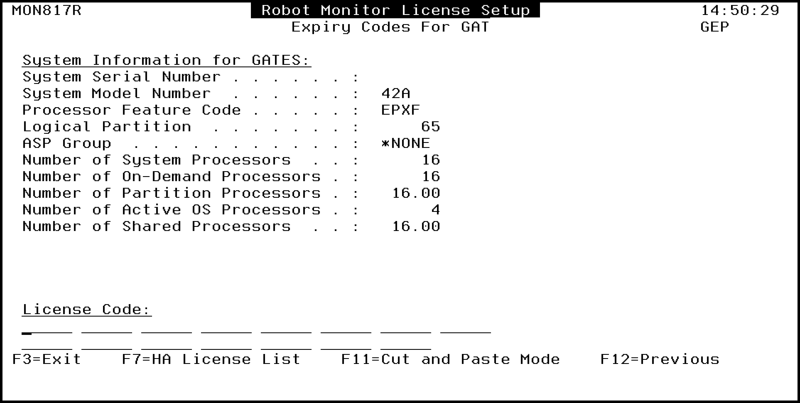 Follow these steps to enter a permanent license code for Robot Monitor. 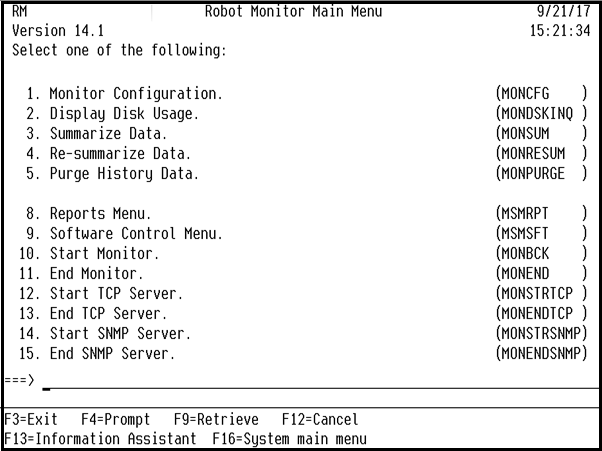 From the MSM menu, select option 1, Monitor Configuration. The following panel displays. 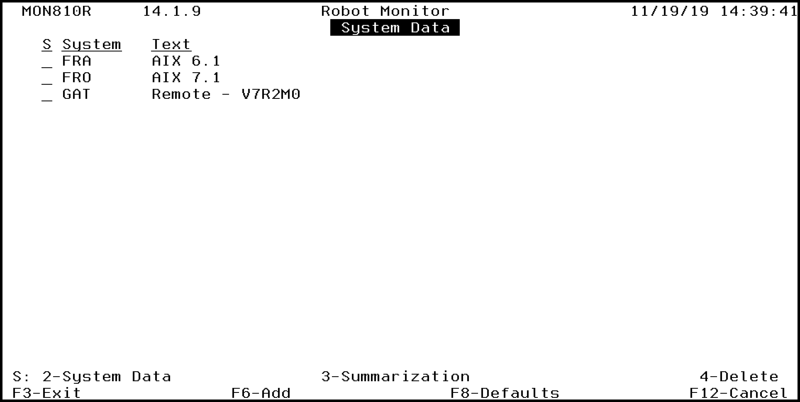 Enter a 2 by the system for which you have a code. From the following panel, press F10 for Expiry Codes. Paste the new license code and press Enter.